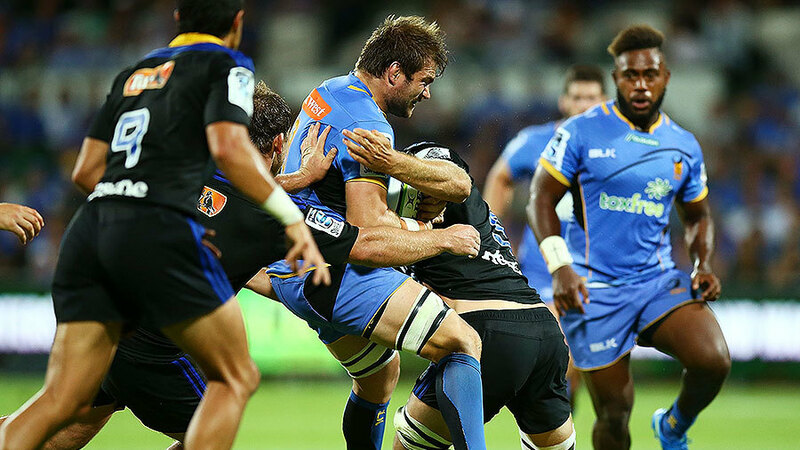 Ben McCalman was awarded the 2015 Nathan Sharpe Medal during the Western Force's 10 year celebration in Perth. The incumbent Wallaby No.8 was awarded for his outstanding season for the Force and also claimed the Geoff Stooke Award for a second successive season for his efforts both on and off the field. The 27-year-old had finished runner-up for the Nathan Sharpe award in the past two years, but after an impressive season in 2015 he finished with 378 points - eclipsing the previous record for highest points set by Matt Hodgson last year. A Team of the Decade was also unveiled in honour of the Force's 10th season with Nathan Sharpe named captain. The Team of the Decade features seven players from the Force's inaugural season with a total of 869 Super Rugby Caps and 476 Test caps. Only two players from the 2015 squad were selected, including the club's ten year player's - Hodgson and Pek Cowan. The side also features Wallaby stars Matt Giteau and Drew Mitchell who both played at the Force for two years from 2007-09. The Force's cult hero Steve Mafi was also named Member's Most Valuable Player while local products Kane Koteka and Ryan Louwrens were joint winners of the club's Rising Star Awards in their first season of Super Rugby.